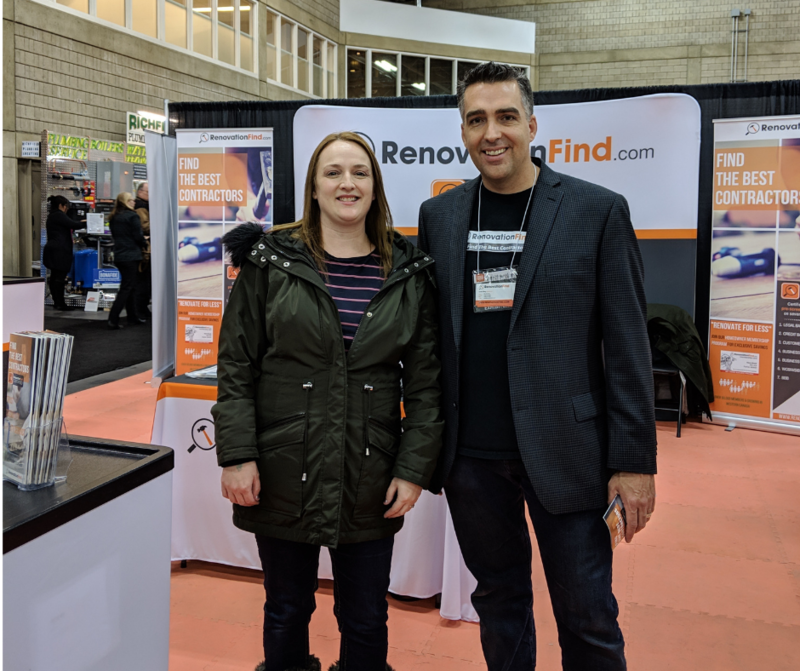 I attended the Edmonton Renovation Show with my oldest daughter. I’m very lucky she likes to come with me to these shows. One of the biggest reasons I like to attend the show is to see what new products and trends are out for the year. 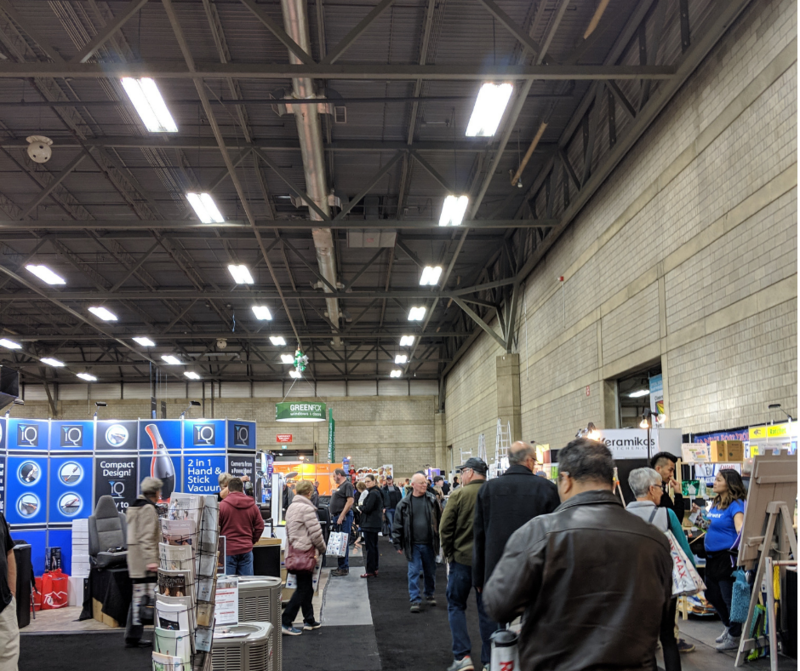 The Reno show has everything for your home from the inside; flooring, storage, kitchen items, bathroom ideas, home décor, windows, doors to the outside landscaping, fencing, deck ideas to name a few of the exhibits. The main stage featured many celebrities as guest speakers. The speakers were on stage at various times throughout the day. Their presentations were about different renovation ideas for your home. Many of these speakers opened up the floor to answer your personal questions; what great value to your price of admittance. The first booth I stopped at, I met Keith Riley who is the Founder and CEO of Renovation Find. The company helps homeowners find the right home improvement companies to work with. Each of the companies Renovation Find represents has gone through 7 step certification criteria program. It was neat to be able to walk around the renovation show and meet with many companies who have been certified by Renovation Find. My next stop check was a stone deck supplier. I had the pleasure of talking to Jesse Schnell from Green Tree Outdoor Living about installing a stone deck. This stone deck option is a cool and different style for you to use in the backyard. 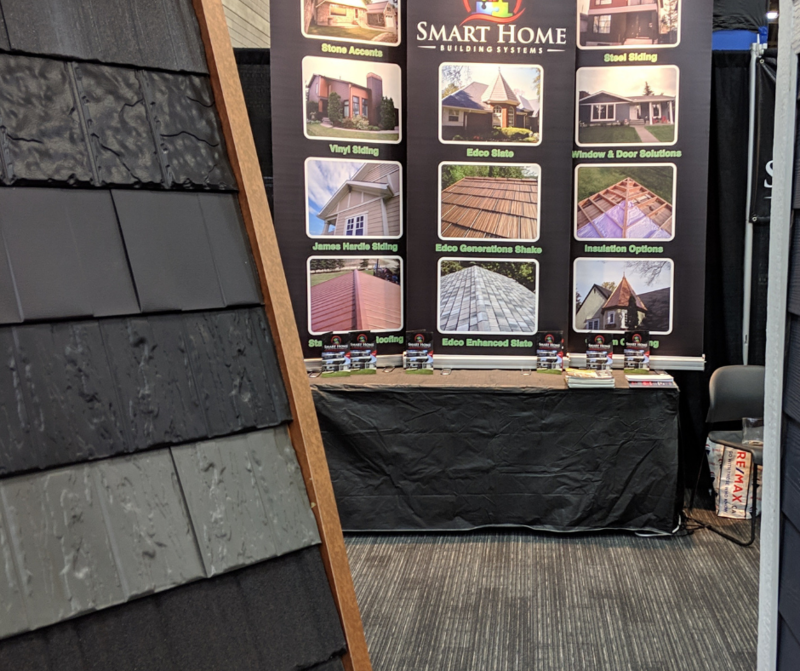 Another trend I noticed at this year’s show was the Metal Shake/Slate Roofs. There were quite a few booths that were featuring these types of roofs. If you are interested in seeing how the Metal/Slate roofs look, check out Homes Building Systems. An eye-catching booth that caught my attention with a little sparkle was Stor-X Edmonton; where I met Jason Hryhorczuk. I noticed right away Stor-X used a little bling to their closet setups. 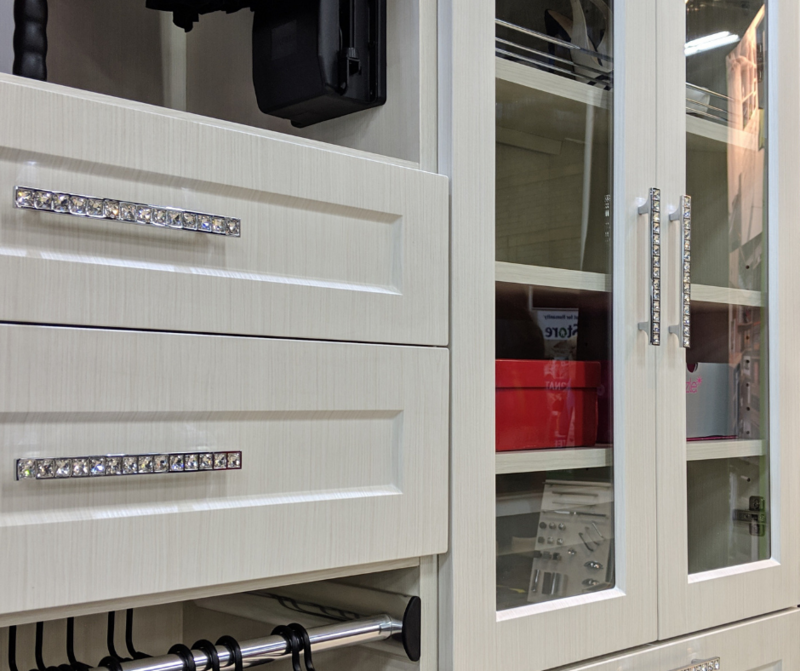 What a great way to add a signature feature to your closet using jeweled hardware to your drawers without breaking the bank. 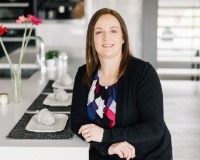 Jason’s company Stor-X won Best ofhouzz for 2018 in design and service. 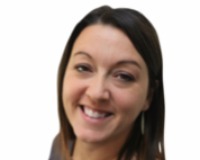 Check Stor-X out if you are looking to organize your home. 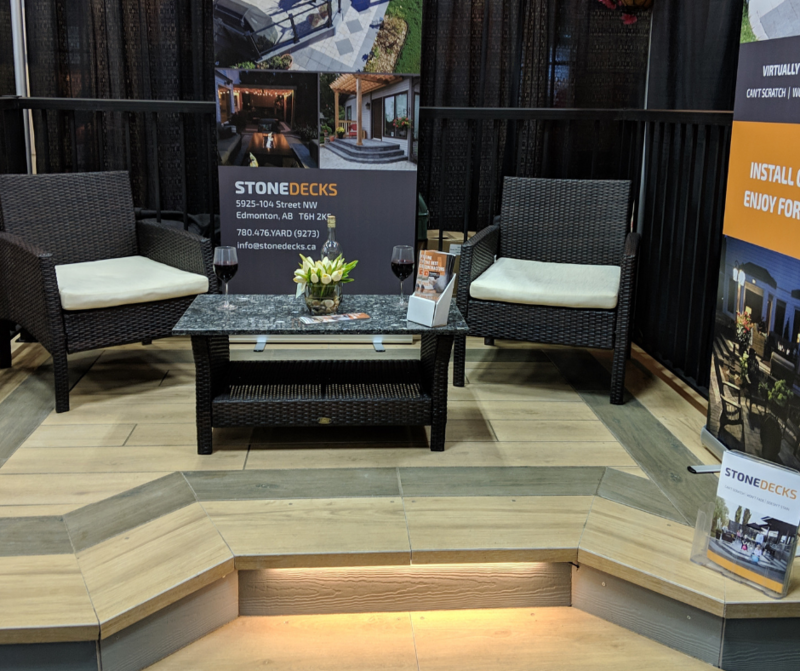 The Edmonton Renovation show offers a ton of value for the cost of entry; great event if you are looking to do renos or just get some ideas to update your home. 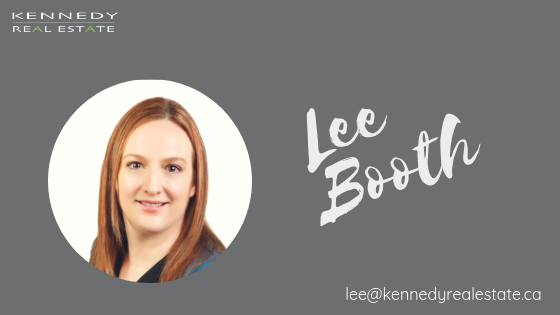 Check out my video to see my adventures at the Edmonton Renovation Show and who I met! !